I originally wrote this article for New Brunswick’s Canada 150 website, last year. When I realised I hadn’t published a round-up of the amazing Provincial Parks in New Brunswick, I decided to republish it here, with a few updates. New Brunswick is known across the country for its two stunning National Parks, and rightly so. Fundy and Kouchibouguac are shining examples of the natural diversity we have in our small province. 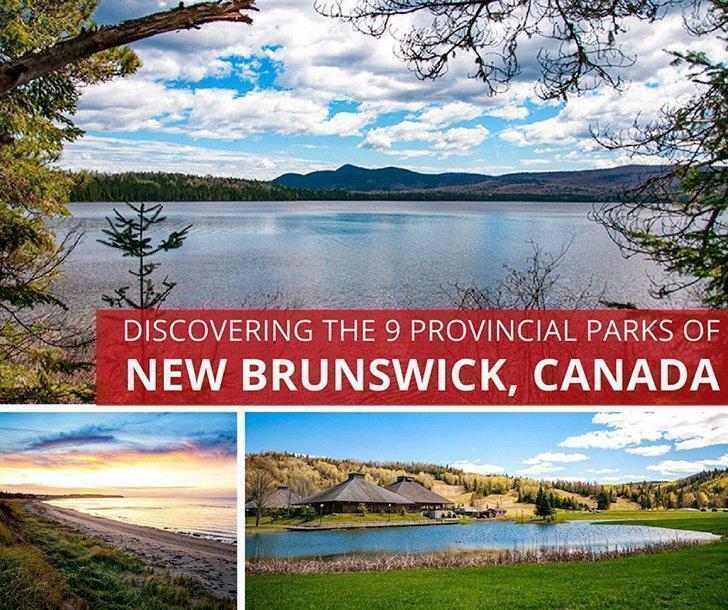 However, New Brunswick is also home to nine Provincial Parks that offer a wide variety of landscapes and outdoor pursuits to visitors and locals alike. These parks offer some of the best camping New Brunswick has to offer, whether you’re in a tent, trailer, or motorhome, like us. This year, I set out to visit as many of our NB Parks as possible (I achieved 7 of 9) and my discoveries surprised me. Even parks I thought I knew well offered more activities and biodiversity than I realised. In the following list, I’ve grouped our parks by type and provided the highlights of each one. Many of the parks are open year-round, and I’ve noted the snow-filled activities you can get out and enjoy this winter. Whether you enjoy these parks on a day-use basis or camp for a week or more, these are some of the provinces top attractions and offer the best campground in New Brunswick! 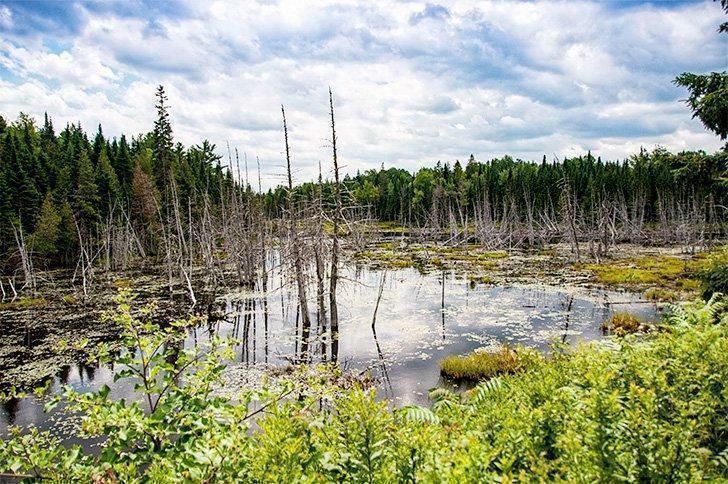 Hiking around an active beaver pond is one of the highlights of Mactaquac Provincial Park. The first three parks in this list are closely associated with their neighbouring cities. 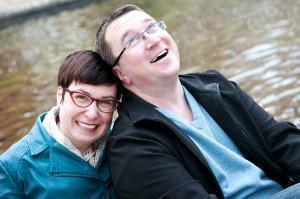 Because they are easily accessible, they are also the most well-known. Mactaquac Provincial Park, near Fredericton, is one of the province’s best-loved parks and truly has something for everyone. 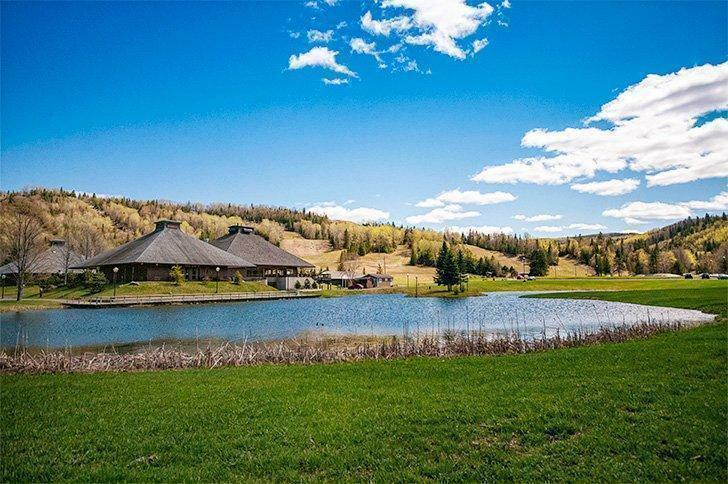 You can golf, dine at the Italian-inspired restaurant, swim, hike, and of course camp at the spacious campground. There are plenty of activities for children from exploring an active beaver pond with a guide to climbing through the treetops at TreeGo. There are two marinas to accommodate all types of watercraft, or you can rent your own floating palace from Lakeway Houseboats. Off Season – There are two groomed sledding hills, a skating pond, and cross-country ski and snowshoe trails (complimentary skis and snowshoes are available). Plus the lodge is open so you can warm up after your winter adventures. De la Republique Provincial Park makes a great base for discovering Edmundston and the Madawaska Region. 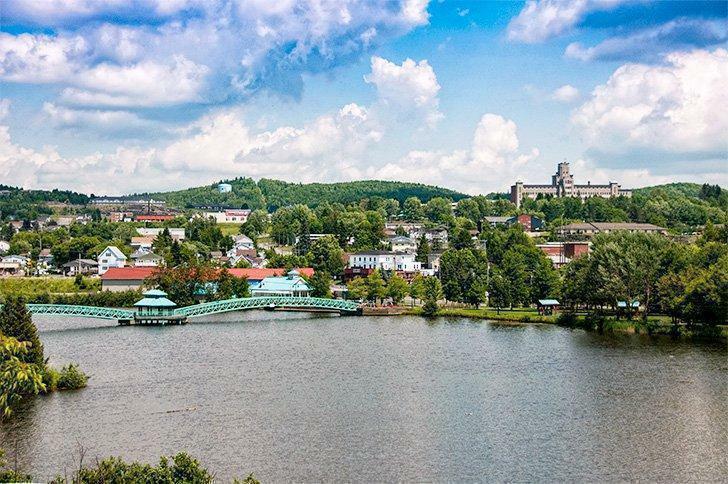 Edmundston loves outdoor adventure, and de la République Provincial Park’s 150 campsites and rustic shelters make the perfect base for exploring the Madawaska Region. The park is excellent for families with its huge playground, two tennis courts, and heated pool. There are hiking and cycling trails, and you can even connect to the Petit-Témis Interprovincial Trail. Next door you’ll find the stunning New Brunswick Botanical Garden with its delicious Café Flora, and you can step back in time at the Antique Automobile Museum. The park is just minutes from the city centre with its excellent shopping and dining options. Sugarloaf Provincial Park is truly an all-season escape in New Brunswick. 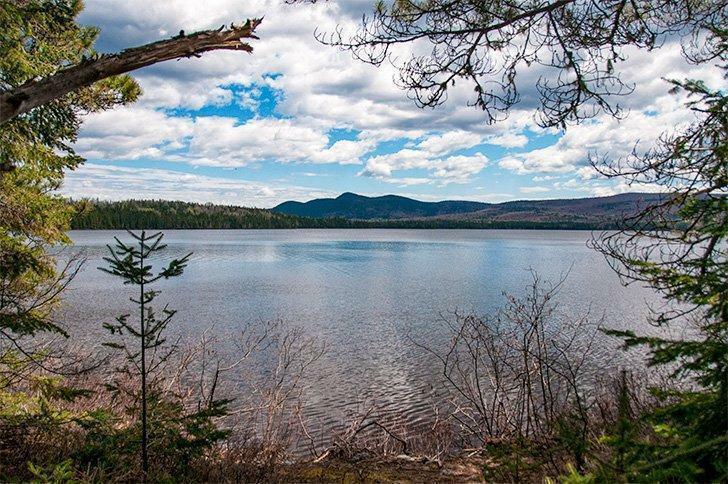 Despite Sugarloaf’s proximity to Campbellton, camping in the park’s wooded sites feels like an escape to the wilderness. The park takes its name from the 305m slope at its heart. You can hike around the mountain or tackle the summit for an incredible view of Campbellton with Quebec’s Gaspé Peninsula just across the Restigouche River. Sugarloaf’s downhill bike park is the only one of its kind in Atlantic Canada (with a lift to get you to the top). You can even fuel up for more outdoor adventure at the park’s restaurant. Off Season – Sugarloaf started life as a ski hill, and it’s still our reining winter park. There are 12 alpine ski trails and certified ski and snowboard instructors to help you improve your moves. For a slower pace, you can cross-country ski or snowshoe. There are toboggan slopes, a skating pond, and even snowmobile trails. Of course, you can always enjoy the après-ski in the cosy lodge. If you want to get away from it all, Mount Carleton Provincial Park is off the grid – literally. The only electricity in the park is in the administration buildings, and cell phone service is spotty at best. In the heart of the Appalachian Mountain Chain, Mount Carleton is all about the glory of nature; 17,000 ha (42,000 acres) of it. There are 11 hiking trails in the park, and they range from wheelchair accessible to experts-only summit climbs of four mountains. The highest peak in the park, and indeed the Maritime Provinces, is Mt. Carleton itself. If you scale its 820 metres, they say you can see a million trees. Keep your eyes peeled for the 30 different mammal species and more than 100 types of birds in the park. Off Season – This vast wilderness is yours to explore in the winter by skis or snowshoes. You can try your hand at ice fishing too. 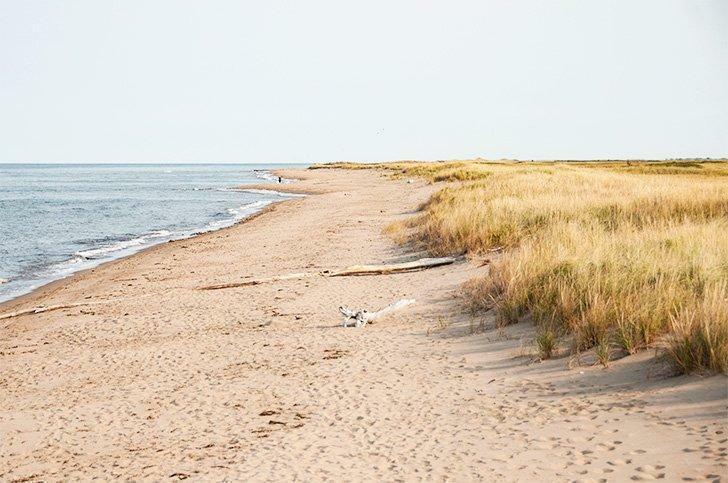 The next three Provincial Parks are all about the beach, and one of the most well-known in New Brunswick is Parlee. The beaches along the Acadian Coastal Route boast the warmest salt water in Canada and with so much pristine sand, who can resist taking a dip. 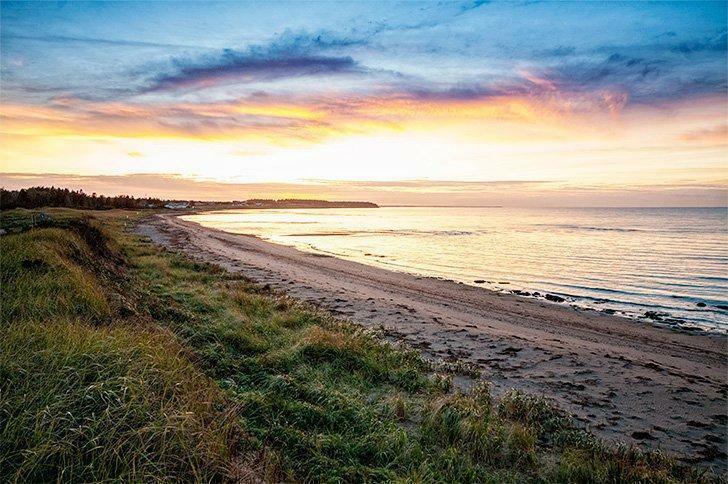 Parlee Beach offers almost 200 campsites right beside the beach, where you can enjoy the surf, take part in a variety of sports, and participate in a sand sculpture competition. Head to Shediac to take a selfie with the giant lobster. Then eat one of his smaller kin at one of the famous lobster suppers. Parlee Beach is also home to some of the Maritimes’ biggest concerts and shows where you can rock out until the wee hours. New River Beach is near Saint John, New Brunswick but feels a world away. New River Beach may be chillier than Parlee, but with its proximity to my hometown of Saint John, it was the beach I remember best from my childhood. My return as an adult didn’t disappoint. When the dramatic Fundy tide is out, it feels like you can walk for miles. If you don’t care to brave the frigid waters, you can hike the cliffs or explore the boardwalk through the bog. There’s plenty of wildlife, both at the beach and in the forest, and you can witness some spectacular sunrises and sunsets. There are loads of family-friendly summer activities including a world-class sand sculpture festival. Off-Season – You can walk the beach any time of year, and the tranquillity of the shoulder-season is hard to beat. Murray Beach Provincial Park way one of our favourite discoveries last year while on the Acadian Coastal Route. Tucked away near the Confederation Bridge to PEI, Murray Beach was a brand new discovery for me this autumn, and it’s a real hidden gem. The campground has eight cabins and over 100 campsites, many of which have full services. However, we loved the overflow camping right beside the beach where we were treated to spectacular sunsets every single night of our stay. While the park itself doesn’t have many trails (other than strolling the endless golden sand), you’re just minutes from the Cape Jourmain Nature Centre where you can hike and discover both the coast and woodland and experience some great views of the bridge as well. The final parks on the list are the two I have yet to discover. 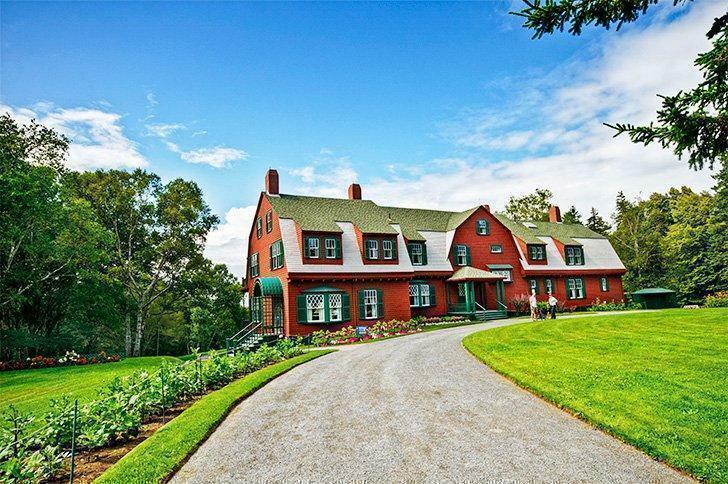 Both take a little more effort to visit as they are on New Brunswick’s two famous islands. Herring Cove Provincial Park sits beside the Roosevelt Campobello International Park, maintained by both the US and Canada and well worth a visit in its own right. You can also spot the symbols of the two nations here, as bald eagles and beavers are both found on the island. Herring Cove has a variety of trails, including a logging road once used by the Roosevelts. Enjoy the 1.6km beach and the 9-hole golf course before grabbing a bite at the park’s restaurant. Grand Manan Island is a stunning seaside escape for camping in New Brunswick. 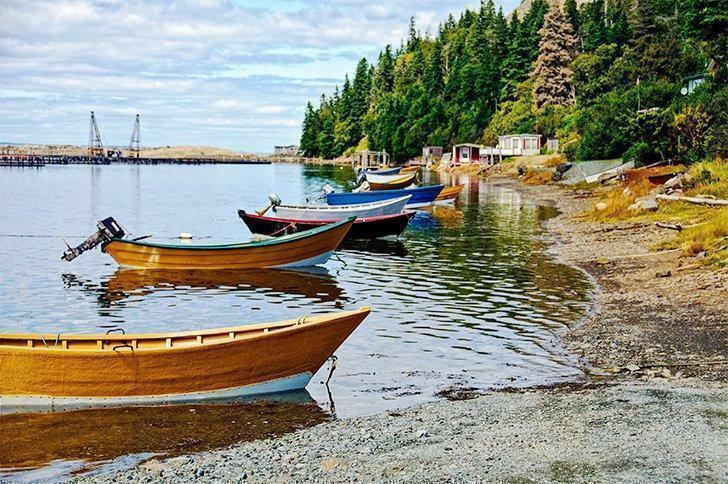 You shouldn’t need a reason to visit the stunning island of Grand Manan in the Bay of Fundy. But if you do, a trip to The Anchorage is a great one. In addition to camping and enjoying the beach, you can hike, bike, and search for wildlife. At high tide, grab a kayak to explore the bay or walk on the ocean floor once the tide goes out. 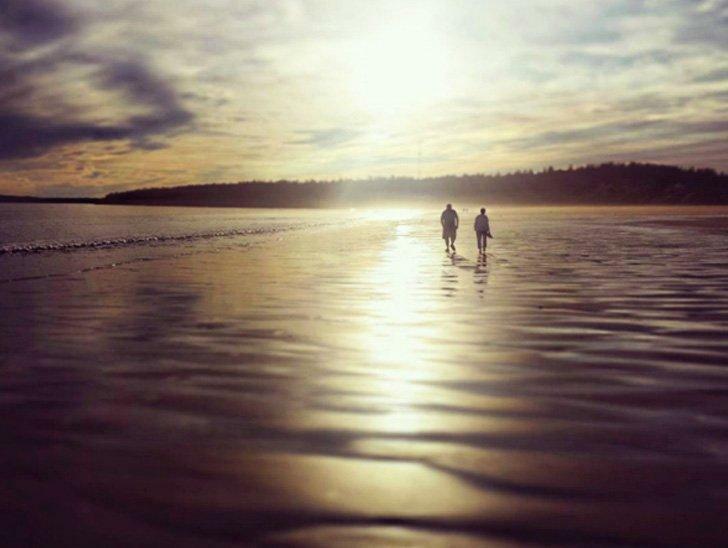 Grand Manan is the perfect place to get away from it all. Just be careful; you may never want to leave! Booking a site at any of the New Brunswick provincial campgrounds is done through a central reservation system. The opening dates of the campgrounds vary but begin in early May. The camping season (sadly) ends in early October. If you have the opportunity to camp during the shoulder season, we highly recommend it as the parks are much quieter. 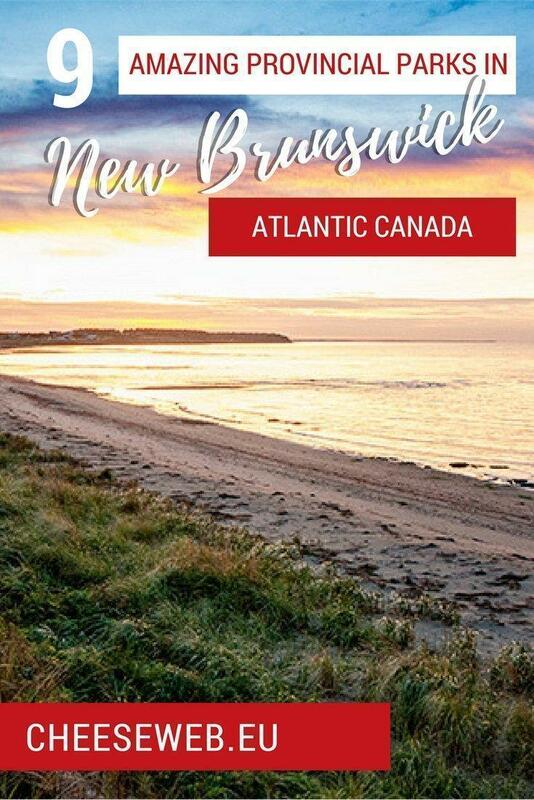 From our tallest mountains to pristine sandy beaches to seemingly endless woodlands, our New Brunswick Provincial Parks highlight the very best of our natural diversity. Whatever the season, there is something to discover!